It was a rite of passage for you to have the "Talk" with your kids about the beginning of life (as in the birds and the bees). 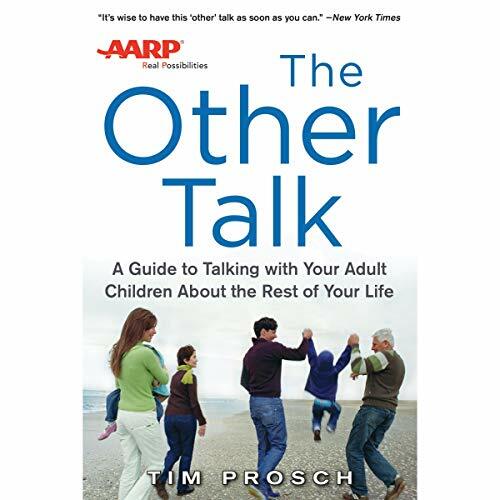 As you get older, you need to have the "Other Talk" - about the later years of life. And you need to have it now, not after a crisis hits. The Other Talk helps you take control of your life, so when the time comes, your kids can make decisions based on what you want. This groundbreaking guide provides the practical advice and inspiration you need to have open, honest discussions about subjects that can be difficult to talk about. What type of medical treatments do you want - and not want - and who will advocate for your needs? The Other Talk helps you address and answer these and other questions in a calm, measured way - freeing you up to enjoy your life and your family.